Niagara Falls, NY - The Niagara Gazette Women of Distinction were honored at Antonio's Banquet and Event Center. 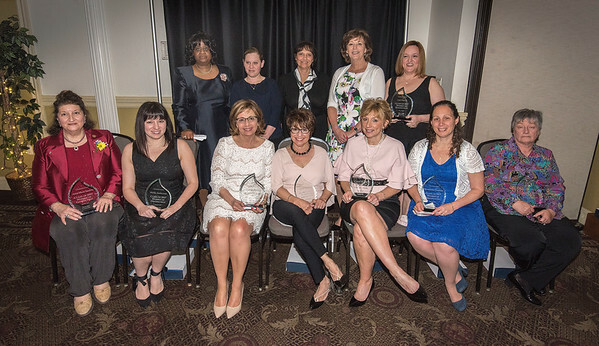 Honorees from left, front row: Ann Marie Sawicki, Molly Anderson, Connie Brown, Carol Calato, Mary Lyn Candela, Bernadette Franjoine, and Paulette Glas. Back, from left, JoAnne Scott, Laura Goodlander, Joane Lorenz, Dr. Linda S. Shenkie and Lisa Surace.